If you're looking for an Android smartphone you could do a lot worse than a Google Pixel. The company's handsets promise cutting-edge hardware and instant updates to all the latest software - but that doesn't mean they're perfect. The Pixel team recently asked for feedback on Reddit, specifically focused on how they can improve the phone's settings and device configuration. 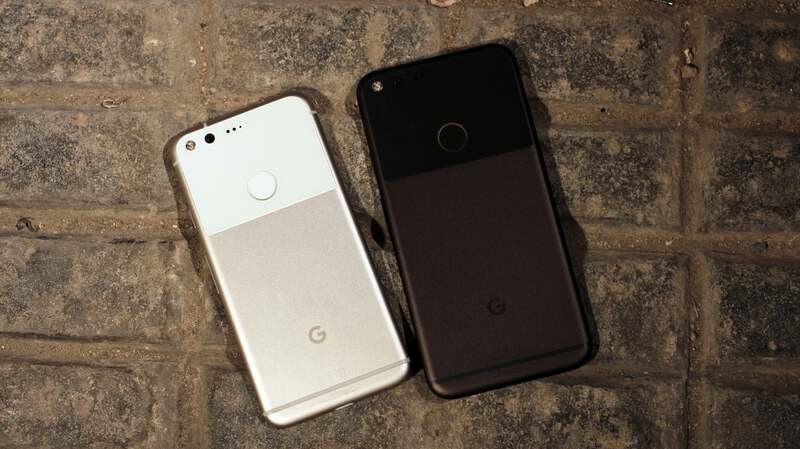 Unsurprisingly, there's been no shortage of complaints and criticism, but some Pixel owners have also chimed in with their own solutions to common gripes. Android. The Pixel 3 probably won't be official until October (when Google typically announces its latest flagship phones), but you can bring a bit of the rumoured device to your current Android handset right now. All you need is the latest version of this launcher. Here are a few of the most annoying things about using a Pixel phone, and how to solve them on your own. One common issue with the Pixel seems to be that its auto-rotation doesn't work very well. It lags and it's too awkward to use regularly. Hopefully, Google will take note and release a fix, but until then, another Pixel owner recommends using Tasker to solve the issue. Tasker is a third-party app that lets you automate actions (sort of like If This Then That). In this case, the trick is to set specific auto-rotate settings for different apps. So YouTube also launches in landscape mode but your internet browser stays vertical. Here's a guide to setting that up. With the release of the iPhone X this morning, we’re now neck-deep in new smartphones. So what better thing to do then pit flagship against flagship against flagship in a battle for consumer hearts? How does Apple’s, Samsung’s and Google’s number one smartphones stack up against each other? Let’s take a look at the specs. Another complaint is that the Pixel doesn't offer a lot of control over Bluetooth settings. Specifically, you can set your phone to automatically connect to a network or you can forget it entirely, but there's no obvious way to keep that login data on hand without instantly reconnecting every time the signal is in range. In this case, Google already has a solution. It may just be a little too hidden. Another Reddit user points out that from the the quick connect screen you can tap on the circled X next to a Bluetooth network to disconnect without deleting it entirely. That way, when you do want to connect you won't need to re-enter the password. Google are set to drop the Pixel 2 and Pixel 2 XL on October 31. Even though there may be a few issues with those screens, the Pixel 2 looks to be a quality phone with excellent software and a powerful camera. But jumping on the Google-train with Telstra's contract options doesn't come cheap - so is it better to buy the phone outright and get a prepaid plan? Here’s the cheapest way to grab a Pixel 2. Most of the time, having your smartphone display on a short sleep timer is a good thing. Shutting off the screen after 30 seconds (or whatever time limit you choose) of inactivity helps save battery life, and if you're watching a video the display stays on automatically. But, as one Pixel owner points out, it's not a perfect system. If you need to repeatedly reference one still image on your phone (like a recipe or a grocery list) the display sleep timer can get pretty annoying, and Google doesn't make it easy to change the setting without diving deep into your phone's settings. The obvious solution is a quick settings toggle, but until that happens there's a third-party app to do the trick. Caffeinate adds a sleep timer toggle to your quick settings menu so you can instantly extend the timer to 5 minutes (or any other preset amount of time) with a simple gesture. Of course, there are also plenty of Pixel issues without easy solutions. One frequent complaint in the thread is that Google does a bad job of deciding whether your phone or your smart speaker should handle a voice command if they're both within earshot. The closest thing to a solution seems to be, "Use IFTTT," but it's unclear exactly how that would work — I left a comment asking for more details, so if I get a response I'll add an update. Custom wake words are also a popular request, and it looks like Google may already be working on that feature for a future update. Until then, you'll just have to make do with what's already available, or hope someone else comes up with a hack for this problem too. There is no quick disconnect for Wi-Fi. It's only for bluetooth, as per the reddit thread you've referenced.